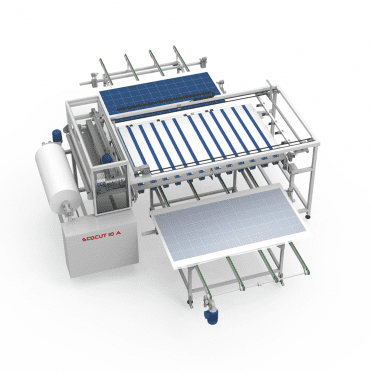 ECOGLASS R is a fully automatic glass loading system that picks up the glass of various size and dimension from the glass pallet onto the Transport system. 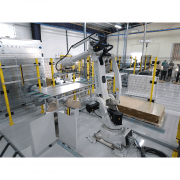 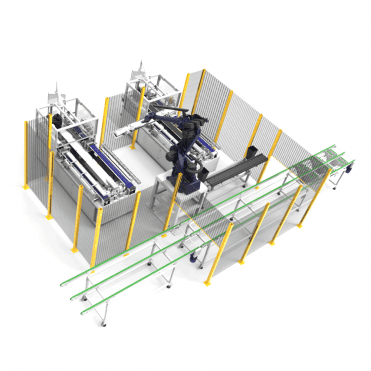 The robotic loading station is provided with 2 glasses pallet positions in order to never stop the production process. 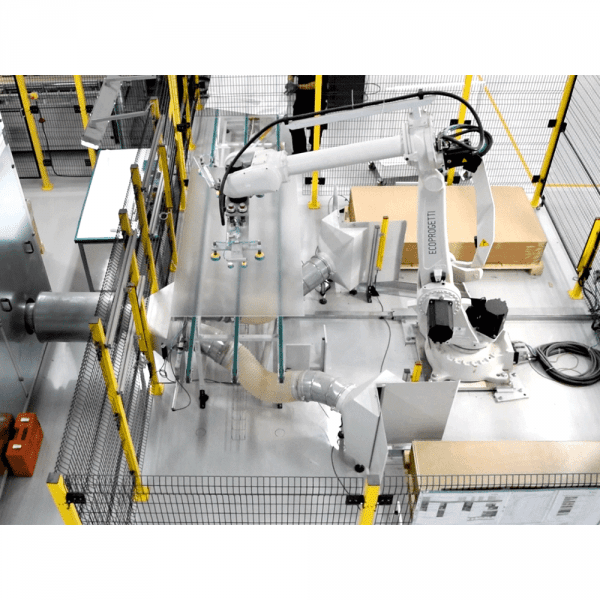 The robot removes automatically the protective paper between the glasses and thanks to a vacuum system the paper is drawn, grinded and stored in a particular bin which guarantees an easy waste management. After this operation, the main robot automatically picks up the glass and centers it on to the motorized loading belts of the layup station. 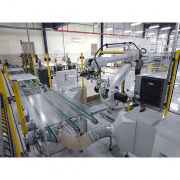 The capacity of the robotic glass loading system is over 170 glasses/h, making one unit enough to manage up to a 300 MW line.